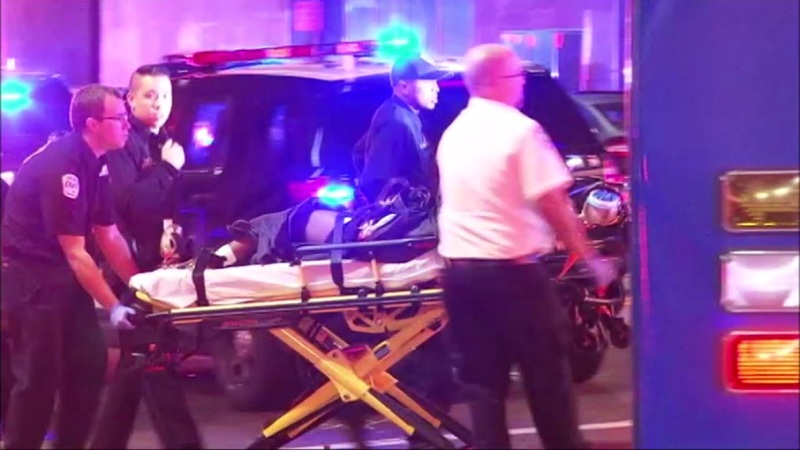 OAKLAND, Calif. -- Oakland police have arrested two suspects involved in a shooting outside an Oakland, Calif. nightclub in which eight people were wounded early Saturday morning. Both are male suspects, ages 28and 21. They both suffered gunshot wounds and are in stable condition. Six victims suffered gunshot wounds as well, including four females and two males ages ranging from 17 to 28. Five are in stable condition and one is in critical condition. The shooting occurred around 12:15 a.m. in the area of 420 14th Street. Officers were in the area and heard the shots early Saturday morning in downtown Oakland, police said. Police said it appears the shooting took place outside. Officers responded to Broadway and 14th Street on a report of multiple shots fired and located several victims suffering from gunshot wounds, police said. The Oakland Police Department Felony Assault Section investigators are conducting the investigation.